Artists of Oxford wishes to thank the following businesses and individuals who have generously supported our organization. It is with the continued support of these and other culturally sensitive members of our community, that we hope to grow and encourage appreciation of visual arts and cultural efforts in Oxford County. At ArtSyte framing and Fine Art, we take pride in quality framing for today’s fine art and in the re-framing of yesterday’s treasures. ArtSyte has hundreds of frame samples in house for your easy selections, as well as on site custom matting and glass repair . We produce all the parts of your project on site….every piece is “an original”. From originals to prints, wedding photos to sports memorabilia- ArtSyte will create a modern masterpiece. We work only in acid-free materials to better protect your fine art for the years to come. Call for an appointment- your art will thank you!!!!!!!!! 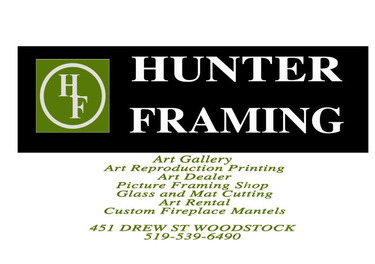 Owner, Artsyte Framing for her generous sponsorship. General Manager for his generous sponsorship. phase one marketing works hard to bring new and innovative products to the high end plumbing industry. Our goal is to give consumers choices. Everybody wants something different, unique and/or unusual. They want their kitchen and bathrooms to reflect their personality and lifestyle. phase one brings these choices to the retailers who in turn can offer them to the consumer. Check out our website (www.p1marketing.ca) for more details and a list of suppliers we work with to bring you only the best. Artists of Oxford wishes to thank phase one marketing for their generous sponsorship. Investment Advisor for their generous sponsorship.